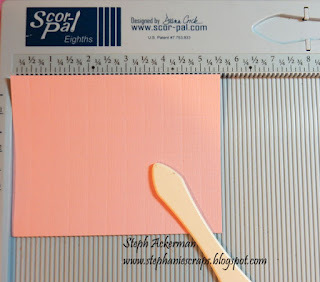 It's a new challenge at Scor-Pal and this month's challenge is to use pink or blue. Since a friend recently had a girl, I decided to create a baby girl card. I started by cutting pink cardstock 5 1/2" x 6" and scoring every 1/2". Then I rotated the cardstock and scored again every 1/2", creating a checkerboard effect. Inking over the score lines with pink ink allows the lines to become more prominent. 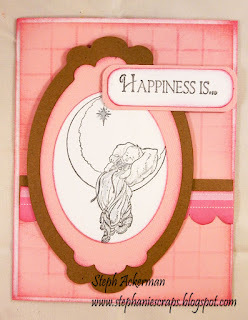 A strip of brown cardstock and a die cut scalloped border were added across the card. 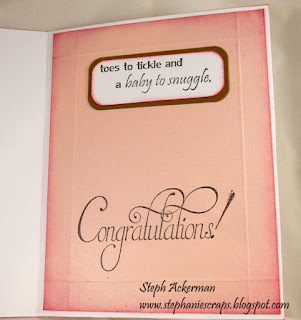 The baby was stamped on white cardstock then assembled atop pink and brown die cuts. Happiness is..... was stamped and added to the front cover and the rest of the sentiment was added to the interior. 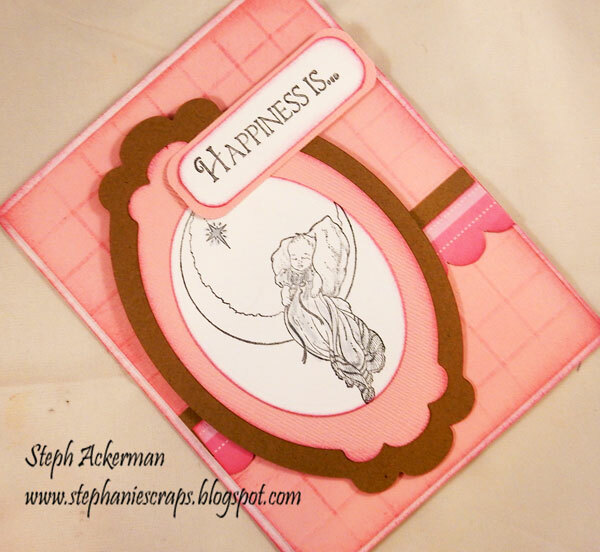 For the interior, I cut pink cardstock to fit and scored 1/2" around the edges. I also inked the edges for definition. 2 sentiments were added inside. 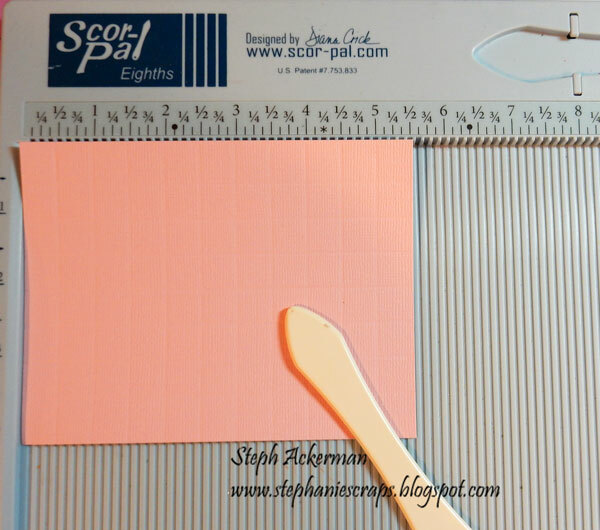 I also created an envelope using my Scor-Pal. 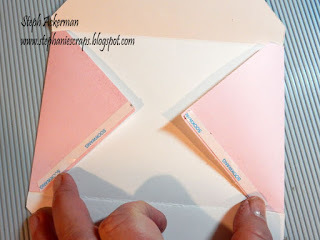 Scor-Tape is the perfect adhesive to assemble the envelope. 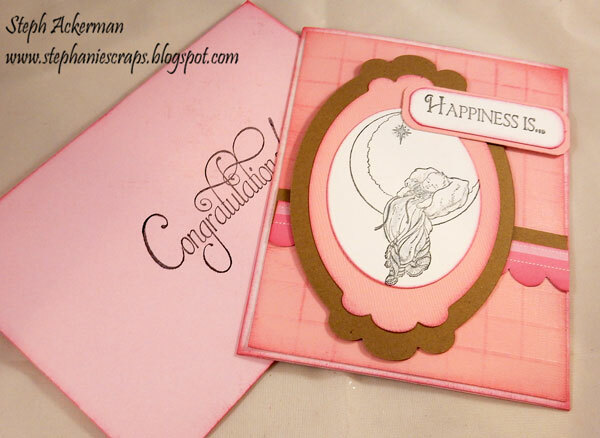 This is a perfect card for a newborn baby girl, don't you think! Please stop by the Scor-Pal blog to see the design team's projects this month.